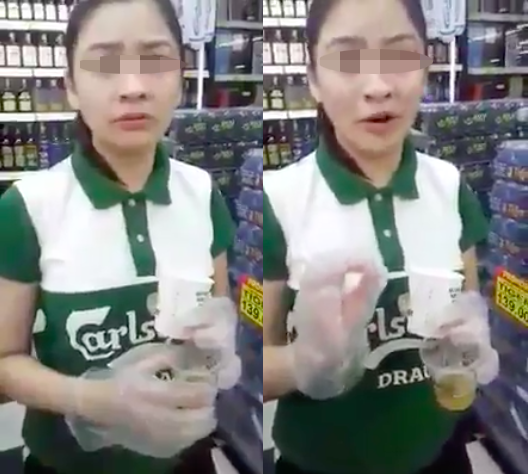 The woman was handing out beer samples at a hypermarket in Ampang. The video, believed to have been posted by a man filming the encounter, gained widespread attention after it was shared on Facebook by TV personality Gan Jiang Han. 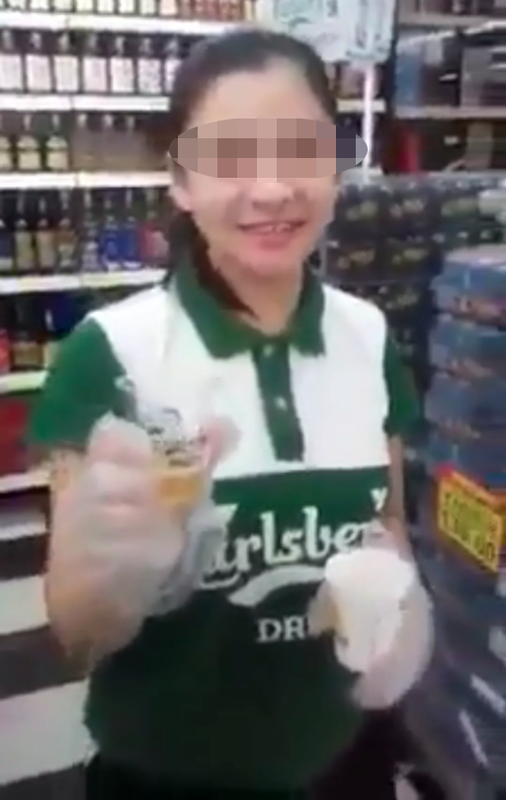 The man was also heard questioning her about her race and why she was allowed to promote beer at the hypermarket. Things escalated when she chided him for harassing her. 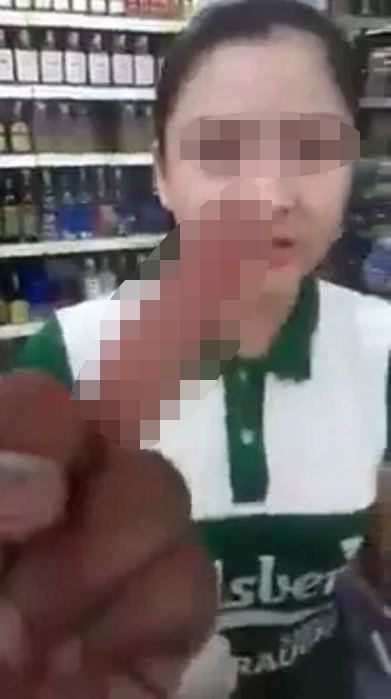 He repeatedly insisted that she speak to him in Malay ("Ini bumi Melayu, cakap Melayu") and showed her the middle finger when she refused to budge. The promoter had questioned if he was a "racist", which he denied vehemently. She then said in Mandarin, "So if I speak Mandarin, am I not Malaysian?" earning her a middle finger accompanied by an eloquent "F*** you". 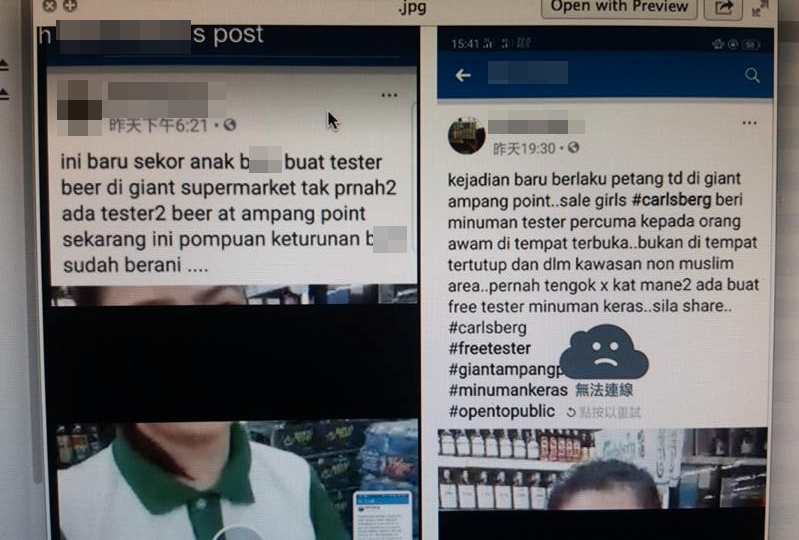 A number of netizens managed to screenshot the man's posts before they were deleted. The two prime ministers first crossed paths 36 years ago.